March 2, 2013 – The Chicago Bulls today signed forward Lou Amundson (AH-mund-son) to a 10-day contract. Per team policy, terms of the contract were not disclosed. Amundson (6-9, 225) will be in uniform tonight (No. 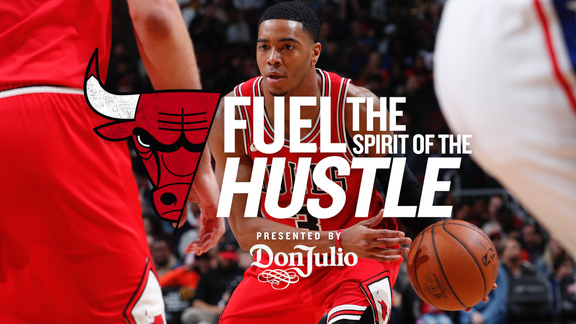 17) when the Bulls host the Brooklyn Nets at the United Center at 7:00 p.m. (CT). In his seventh season out of UNLV, Amundson has played in 308 regular season games (seven starts). During that time, he has posted averages of 3.8 ppg, 3.6 rpg and 0.75 bpg in 12.9 mpg. He also owns shooting averages of .493 from the field and .443 from the line. A native of Ventura, Calif., the 30-year old forward appeared in 20 games with the Minnesota Timberwolves earlier this season. He has also played with Philadelphia (twice), Utah, Phoenix, Golden State and Indiana. With his signing, Chicago’s roster now stands at 15.